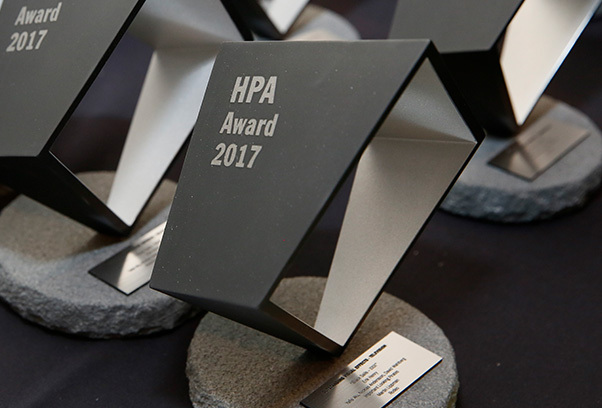 The HPA Awards are considered the standard-bearer for excellence and innovation in an industry embracing an expanding array of groundbreaking technologies and creativity. Bestowed at a gala celebration each November, the Awards honor creative achievement, outstanding artistry, lifetime achievement, and engineering excellence. Creative Categories include Color Grading, Editing, Sound and Visual Effects in Film, Television and Commercials. Special Awards may also be presented, including Engineering Excellence, the HPA Judges Award for Creativity & Innovation, Charles S. Swartz Award, and the Lifetime Achievement Award. The HPA Award symbolizes freedom of expression, mastery of an artist’s craft, and groundbreaking creative and technological achievement. The award trophy, designed by the superlative design team at Autodesk, physically embodies these qualities, portraying the limitless possibilities of imagination, collaboration and technical ingenuity that break out of constraints to realize today’s most challenging visions. Creative Categories include Outstanding Color Grading, Editing, Sound and Visual Effects in Film, Television and Commercials. Special awards may also be presented, including Engineering Excellence, the HPA Judges Award for Creativity & Innovation, Charles S. Swartz Award, and the Lifetime Achievement Award. This award is to honor the overall achievement of the color grading within an entire Feature Film for a theatrical release. This award is to honor the overall achievement of the color grading within an episode of a Pilot, Broadcast Series, Miniseries, Movie of the week, Special or an episode of a series delivered through an online distribution platform. This award is to honor the overall achievement of the color grading within a Commercial. Infomercials, corporate IDs or marks and company logos are not eligible in this or any other category. Movie trailers are not eligible in this category. This award is to honor the overall achievement of the editing of a Feature Film. This award is to honor the overall achievement of the editing within an episode of a Pilot, Broadcast Series, Miniseries, Movie of the Week, Special or an episode of a series, with a running time of 30 minutes or less, delivered through an online distribution platform. This award is to honor the overall achievement of the editing within an episode of a Pilot, Broadcast Series, Miniseries, Movie of the Week, Special or an episode of a series with a running time of 30 minutes or longer, delivered through an online distribution platform. This award is to honor the overall achievement of the sound post production work in a Feature Film. This award is to honor the overall achievement of the sound post production work within an episode of a Pilot, Broadcast Series, Miniseries, Movie of the Week, Special or an episode of a series delivered through an online distribution platform. This award is to honor the overall achievement of the sound post work within a Commercial. Infomercials, corporate IDs and marks or company logos are not eligible in this or any category. Movie trailers are not eligible in this category. 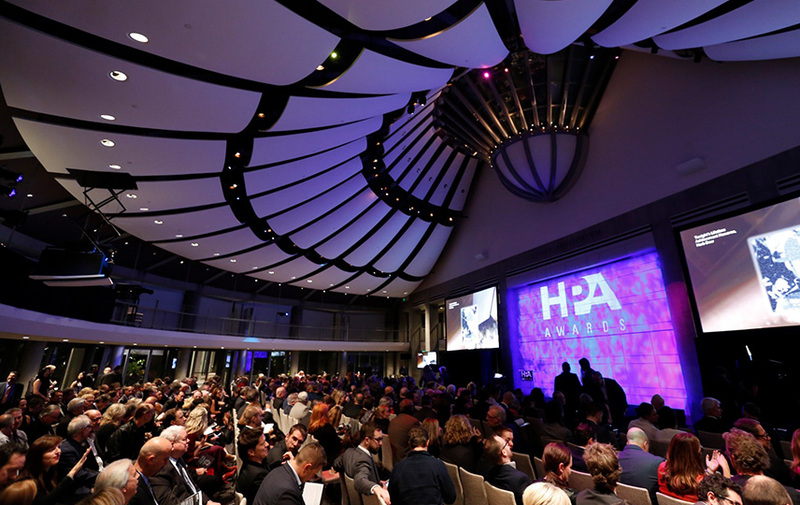 The HPA Awards recognizes that multiple visual effects production companies and hundreds of artisans can contribute to the overall visual effects of a feature film. We seek to recognize and honor the contributions of these organizations and artisans. This award is to honor the outstanding achievement in visual effects in a sequence or sequences created by an artist or team of artists. 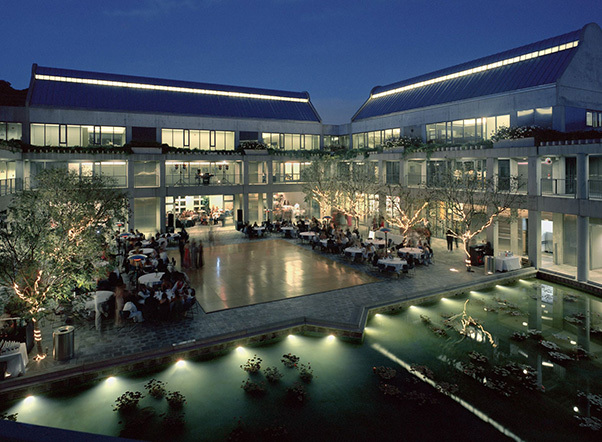 Each facility or team may submit only one (1) entry per Feature Film. Title sequences are excluded from this category. his award is to honor outstanding achievement in visual effects for a Pilot, Broadcast Series Episode, Miniseries, Movie of the Week, Special or an episode of a series delivered through an online distribution platform, with a season consisting of 13 episodes or less. Multiple episodes of the same series are eligible provided that the individual episode and visual effects team are different. Title sequences are excluded from this category. This award is to honor outstanding achievement in visual effects for a Pilot, Broadcast Series Episode, Miniseries, Movie of the Week, Special or an episode of a series delivered through an online distribution platform, with a season consisting of more than 13 episodes. Multiple episodes of the same series are eligible provided that the individual episode and visual effects team are different. Title sequences are excluded from this category. The Engineering Excellence Award is intended to showcase and reward inventors, manufacturers, vendors and/or peer production, post production, distribution, and/or archiving companies for their outstanding product. Valid entrants are a single ‘product’– i.e. hardware and/or software-based — but must represent a step forward for its industry beneficiaries. One award trophy will be presented per winning entry. The Charles S. Swartz Award recognizes broad, impactful and lasting contributions that have advanced and/or provided some unique purpose to the larger media content ecosystem. The Award may be conferred on a person, group, or company that has made a significant artistic, technological, business or educational impact across diverse aspects of the media industry. 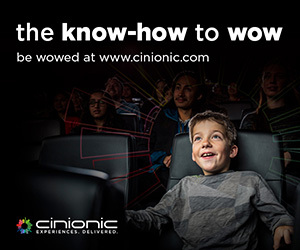 The Lifetime Achievement Award may be awarded by the Hollywood Professional Association to an individual who, during his or her lifetime, is recognized for their service and commitment to the professional media content industry. The mission of this award is to give deserving and respectful recognition to specific individuals who have, with great service, dedicated their careers to the betterment of our industry. 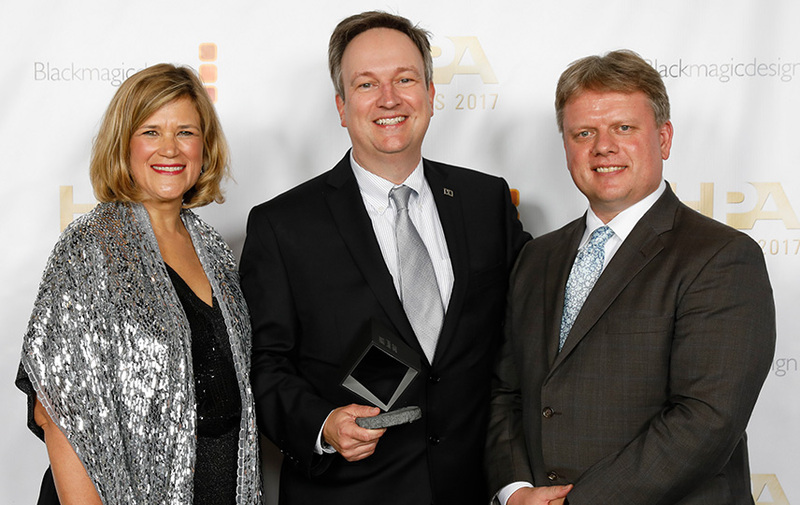 The HPA Judges Award for Creativity and Innovation Award was conceived to recognize companies and individuals who have demonstrated excellence, whether in the development of workflow and process to support creative storytelling or in technical innovation. The Judges Award is chosen by a jury of experts and peers. Payment may be made via credit card during the submission process, or by mailing in a check, or by ACH/EFT. In the case of EFT or ACH payments, HPA must receive the full amount of the entry fee in US Dollars. All transfer or  bank fees are the sender’s responsibility category. To promote creative artistry in the field of post production, and recognize the achievement of talent, innovation and engineering excellence in the larger professional media content industry. The show attracts about 500 people and consistently sells out. 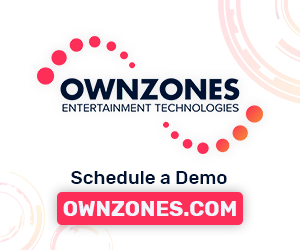 Attendees are a broad mix of individuals in post production and the entertainment industry. This includes heads of the studios as well as executives, the top creative talent in post production, executives and management from post facilities, manufacturers of hardware and software, post supervisors, directors of photography, editors and representatives of the industry guilds, unions and professional associations, as well as individuals from the businesses that support post production.